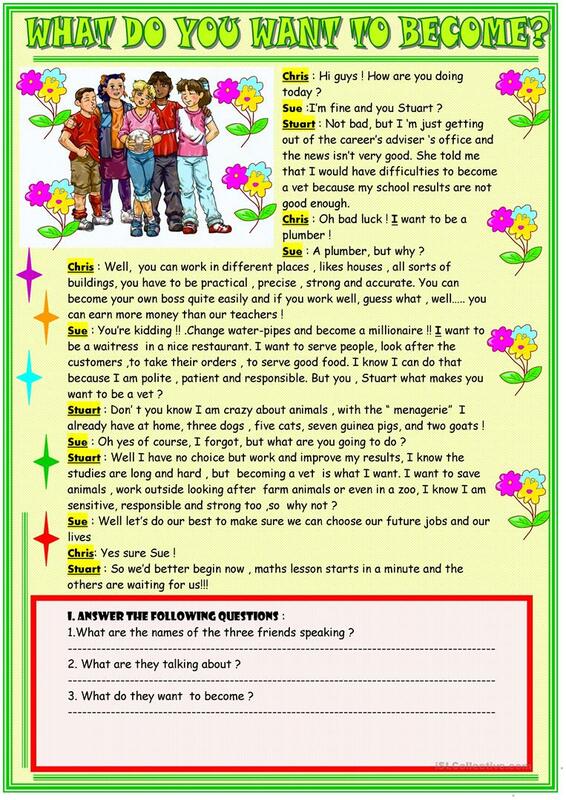 The above printable, downloadable handout is best suited for high school students and students with special educational needs, learning difficulties, e.g. dyslexia at Elementary (A1) and Pre-intermediate (A2) level. 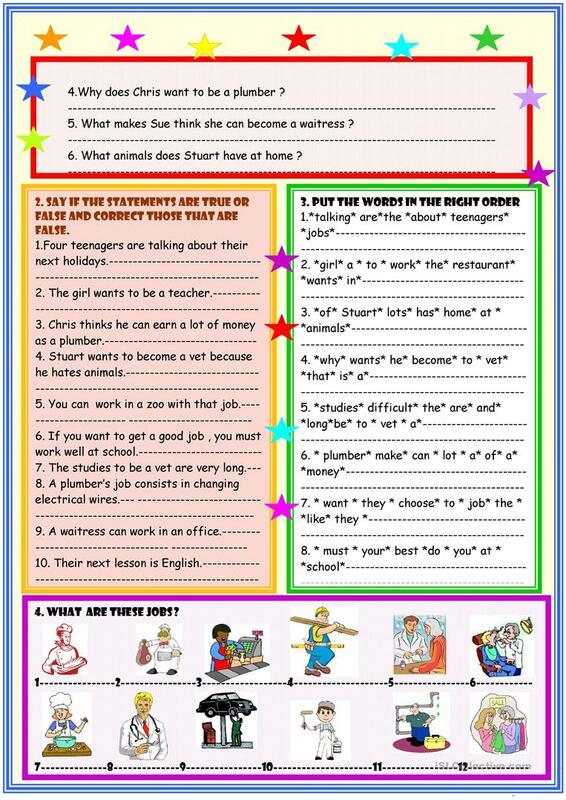 It is aimed at consolidating Present simple tense in English, and is excellent for honing your groups' Spelling, Speaking, Reading and Writing skills. It is focused on the vocabulary topic of Jobs, work.